Three bargain-priced bestsellers in one box! Electrician Joe Fisher is used to doing any job, no matter how hard, as long as the money's good. So when he takes a job as a deckhand on a fishing boat, he figures it's all smooth sailing. If the early mornings and vicious lobsters weren't bad enough, his boss warns him to watch out for the neighbours. But when he meets Sirena, his mysterious neighbour with her all-female crew, Joe just can't stay away. Even if it could cost him his life. You'll never look at mermaids the same way again. Most mermaids jump at the chance to live on land. Except Laila. Terrified of humans after the attack on her mother, Laila joins a diplomatic mission to the siren community in the Atlantic Ocean to stay beneath the surface. 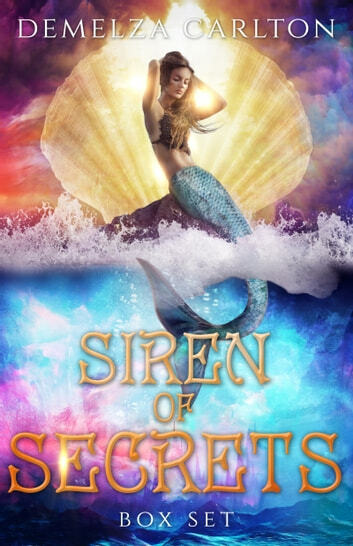 But when the welcome she receives is colder than the surrounding seas, Laila learns that her own kind can be far more frightening than any man. As secrets are revealed and sirens infiltrate the human population, will anyone be safe on land or sea? I love all the books in this series! Five stars!!!!! I thought this was very poorly written. Forced myself to read the first book, then deleted all the rest.